There is nothing new in saying that modern devices are being held back by lackluster battery performance. If you’ve bought a new smartphone, tablet or portable media player you are faced with the situation that while you want to use all the great features much more and adore the big bright display you are forced to keep features off, such as 3G or Wi-Fi, and keep brightness down or risk being tethered to the wall. It’s not that manufacturers are oblivious to the situation, they just have to tread a fine line between respectable battery life and keeping a device light and slim. Unfortunately advances in battery technology have not caught up with our rapidly growing appetite for mobile tech. Even worse is that although we can get access to a power outlet in our daily routines, when in unfamiliar territory is when we need to use our devices more, such as checking for restaurant recommendations, looking up maps, communicating or just keeping entertained, and that’s when it’s hard to stay charged. What I have done over the years is carry an external portable battery as an alternative power source on the go. Nowadays with the omnipresence of the USB port as a power source it’s much easier to keep all your gadgets charged with the same battery. 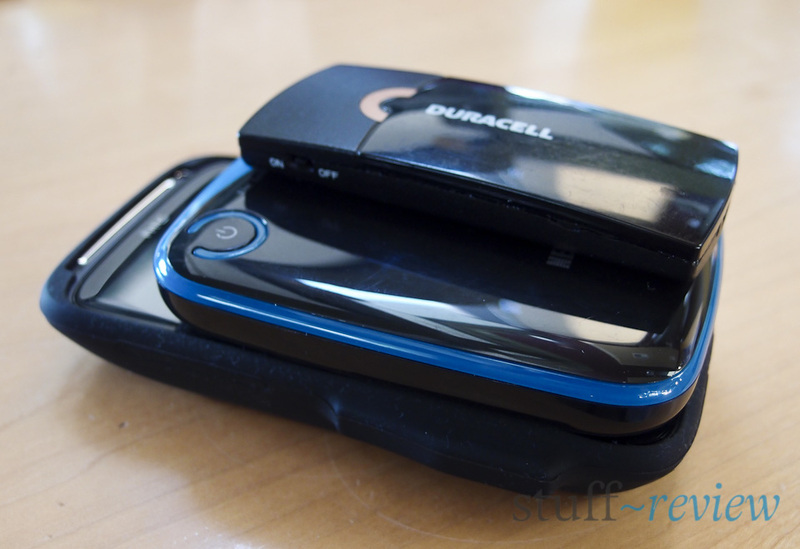 This roundup review will cover three choices for keeping your gadgets charged on the go. Oh and if you are unsure what is the difference between mini and micro-USB, make sure you read this know your ports. Our first entrant is the smallest and lightest of the bunch. This is a battery that you can have with you all the time and use whenever you are in a pinch and need an emergency charge. The unit weighs in at 1.5 ounces (42g), and has a 1150mAh capacity with 600mA / 3W max load. 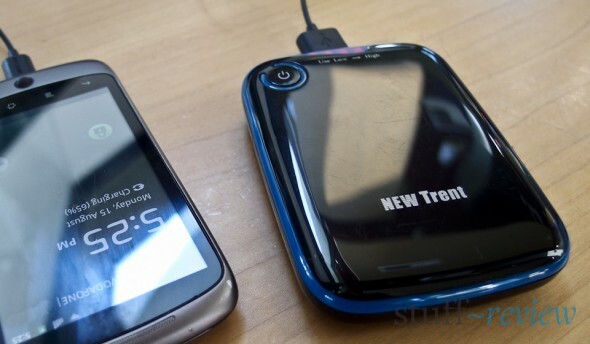 This model is obviously suited for smaller devices such an iPod but can also provide some pick-up charge to your high-end phone (tested around 40-60%) or GPS. It has a simple and reliable on/off switch on the side and indication LED lights (no charge capacity indicator), the unit charges via a mini-USB port and provides power from a standard USB port. This unit was retailing for around $22 at the time of writing. Weighting just 1.5oz, with quite diminutive dimensions, you barely feel your are carrying it. Can fit with your phone or device in your pocket. 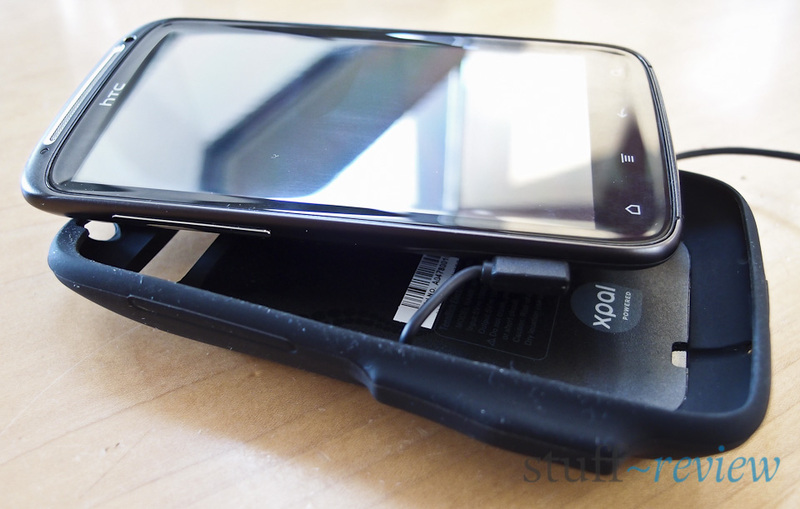 Limited charging capacity means that it can only provide a pick-up charge to devices such us high-end smartphones. Not suited for a tablet or high powered devices. mini-USB input port means you might have to carry an extra cable as most devices now charge with a micro-USB port, i.e. you can’t use the same cable to charge the battery and your devices. This unit works similar to the other options here, i.e. it’s an external battery which charges your device. What makes it unique however is that it lives as a protective case for your smartphone — or better yet, your smartphone lives inside the battery case. This is the solution for those who prefer to set and forget. You choose the case designed for your smartphone, PowerSkin has battery cases for the iPhone, HTC, Samsung, Motorola and Blackberry smartphones; then you connect your phone to the case and slide it in. After that, just go about as you would normally, plugging in the case instead of your phone. The PowerSkin charges from a micro-USB port; when connected it first allows your smartphone to charge fully then it charges its own battery. When disconnected it will continuously charge your phone until it is empty but you can also turn it off using the button in the back. There are four discreet LED lights in the back which show the battery level and illuminate while charging. 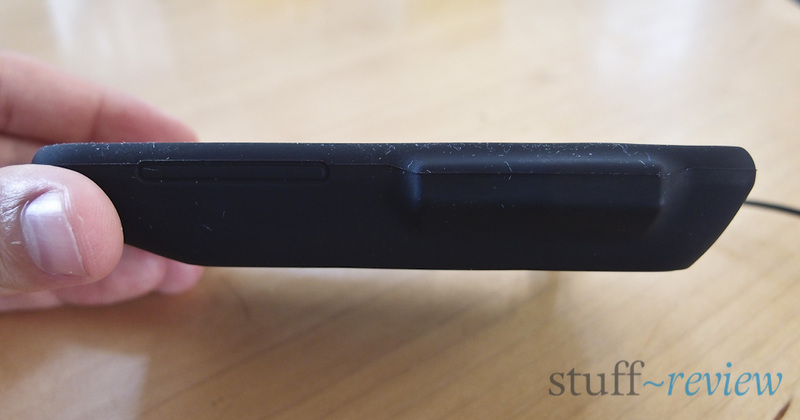 These cases feature between 1,500 and 2,000mAh and they should fully charge your phone, i.e. act in “doubling” your charge capacity. 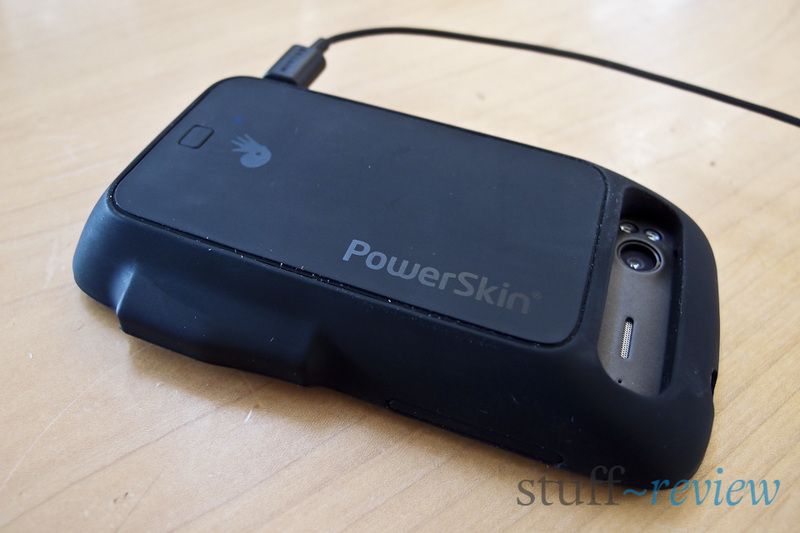 PowerSkin cases retail for around $40-60. The case itself is made of silicon, which might not be to everyone’s liking as it tends to attract lint, but we understand the need to keep the case lightweight and flexible. The PowerSkin is a choice for life, that is the life of your smartphone and is limited in this regard to the other devices in this roundup. 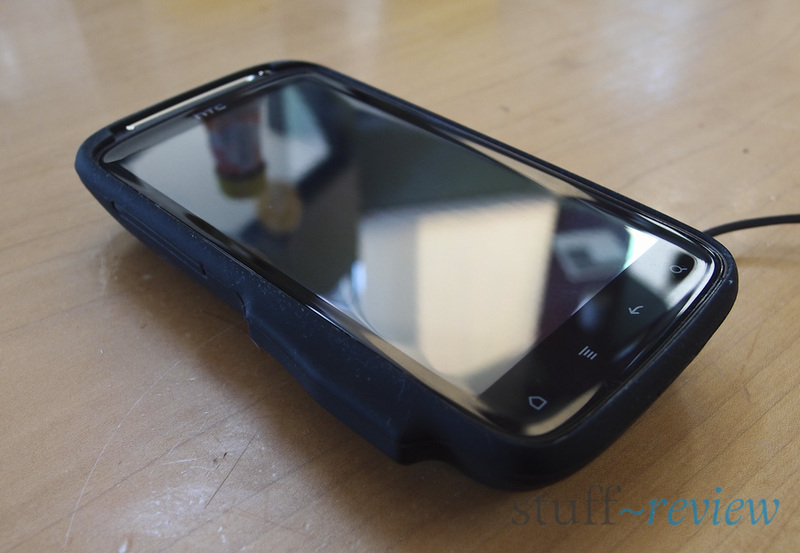 It must be said that it does add some heft to your smartphone, the case that we tested for the HTC Sensation weighed 2.7oz (77g) bringing the total weight with the phone to 7.9oz (225g) and you can feel the difference. 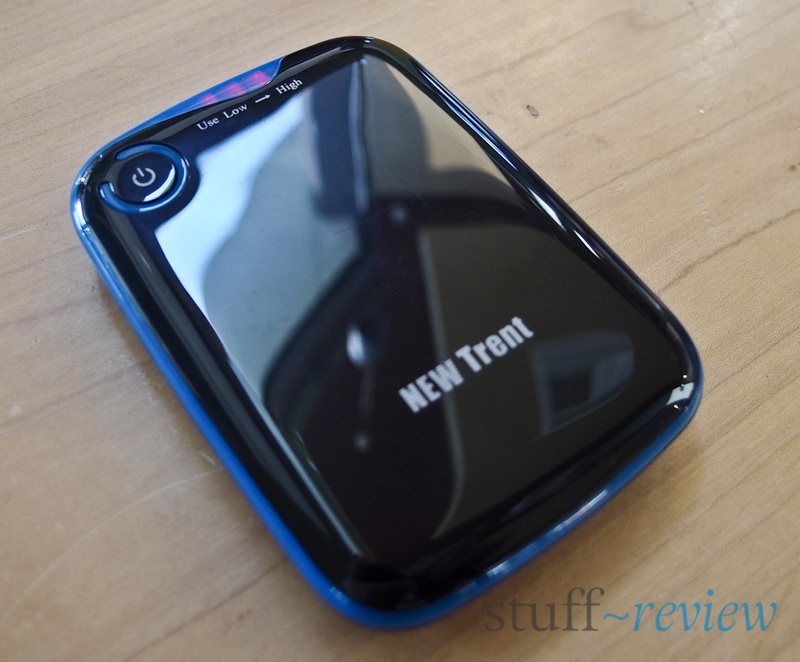 It also made the phone bulkier, but still portable. Something else to have in mind is that if you want to connect the smartphone to your computer you must detach it from the case. The case does not carry data, only power. Doubles the battery life of your phone. Set and forget: use your phone normally while charging, i.e. talk, surf etc., connect the case to power to charge both your phone and battery. 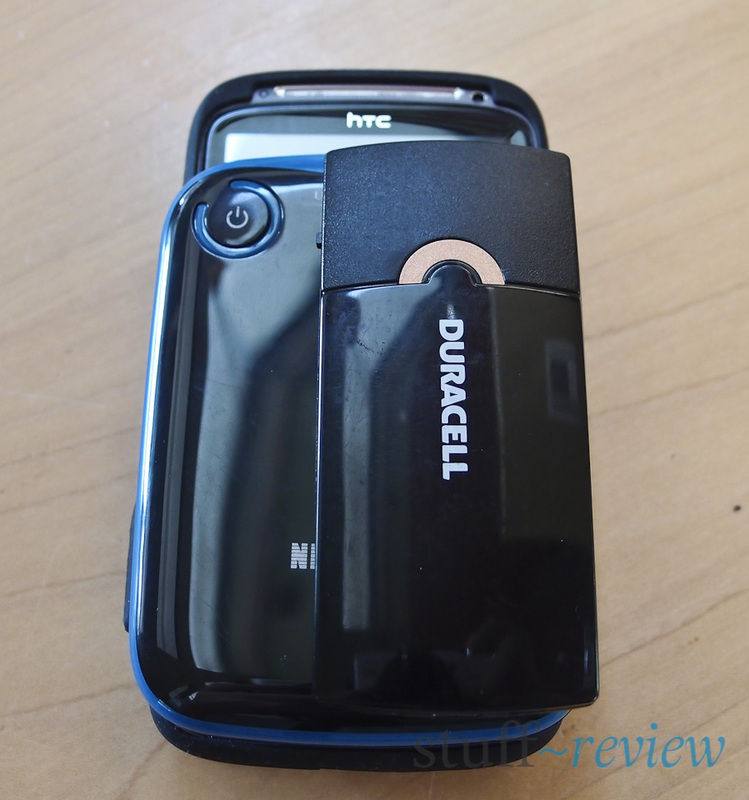 Uses the same interface to charge as most smartphones, micro-USB. Does not carry data to the phone. 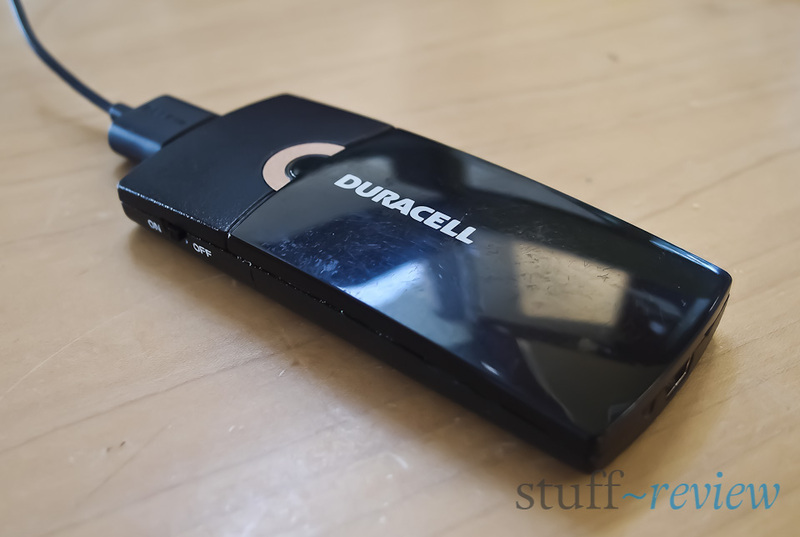 To connect the smartphone to a PC you need to unplug the battery. Limited life/use of one device. Silicon material might not be to everyone’s taste. 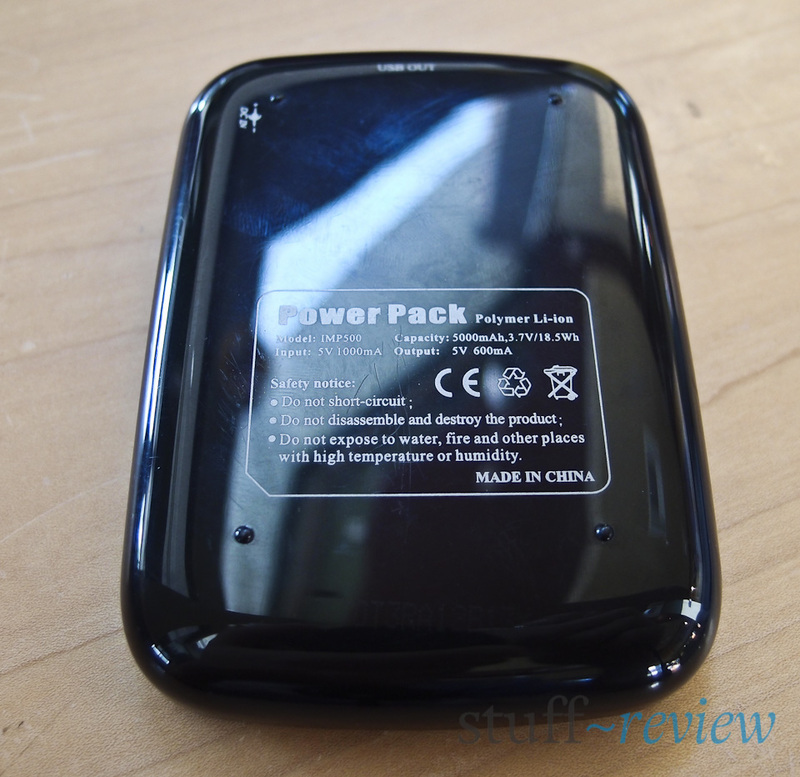 This is a real powerhouse, with a capacity of 5,000mAh, and of course the heaviest of the bunch, weighing 5.1oz (145g). This baby can re-charge an average smartphone 3-4 times and can handle some tablets, though its 600mA rating won’t be enough for the iPad for example — for an iPad compatible battery go for the similarly sized IMP50D with a 1A rating. Although this battery packs a punch the curved pebble design makes it generally unobtrusive, dimensions are 4 x 3 x 0.75 inches. We only have a few minor gripes about this unit, we’re not sure how sturdy the on/off button is going to prove while we don’t like the idea of a proprietary charging port, the unit charges from a pin charge port and provides power from a standard USB port, although the unit includes micro and mini-USB converters for its cable. We’ve also found the LED indicator lights to be too bright for our liking. The IMP500 sells for around $40. With a claimed capacity of 5,000mAh this baby has enough capacity to recharge a smartphone multiple times and can handle some tablets though not the iPad. Best option for long trips. Indicator lights show the remaining charge in the battery. Weighs as much as an average smartphone. Some poor design choices, such as bright indicator lights, proprietary charging cable (though includes converters to mini and micro-USB) and unreassuring on/off button. 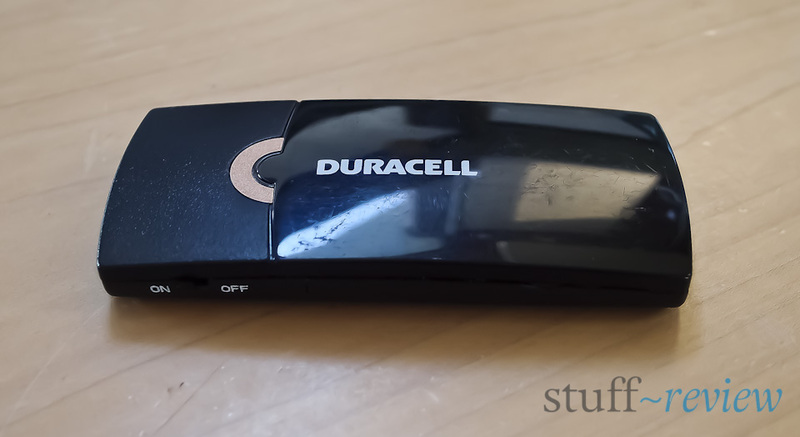 As a complement to the above, I’ve also found the following very useful for ultimate road portability, which I use quite interchangeably; though I guess I am a little obsessed with staying as portable and as connected as possible. I always pack a high power USB charger such as this Belkin which also comes with a bonus auto USB charger. This Belkin provides 2.1A of current, which means it will charge your gadgets faster and it will also support high power tablets, such as the iPad. These dwarf assorted USB charging cables from Griffin take very little space and allow you to connect to most devices. Finally a retractable micro-USB cable is your best friend on the go if you can get a good quality one, I own a Belkin but couldn’t find it now on sale online.